Caroline grew up on a small farm in Belfast where her parents ran Fiddlers Green Farm, an organic stone-ground grain mill. She spent many hours watching them mill and pack grains, make jam, grow vegetables, and woke up most mornings to warm bartered bread from local bakers in the mailbox. After college, she spent a handful of years living on the West coast, but moved back to Maine several years ago. 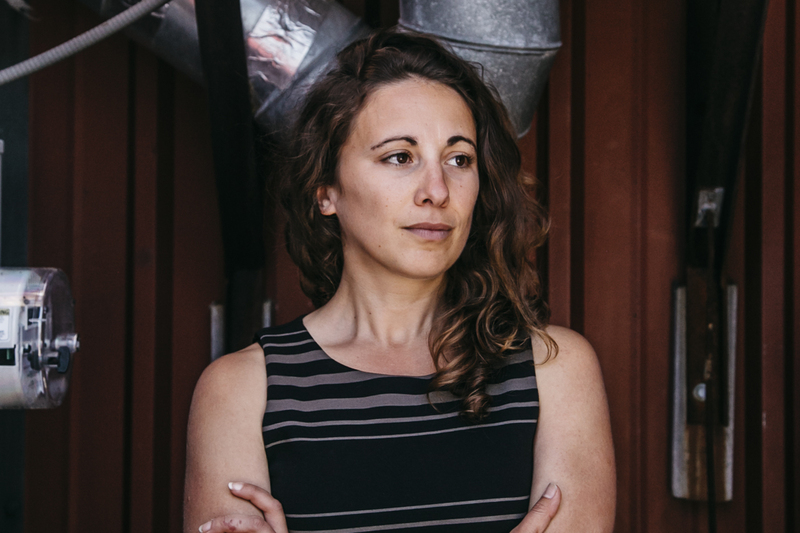 Now, as MFT’s new Membership Director based in the Portland office, she’s getting back to her farm roots while growing community in the most urban part of her home state. Caroline bikes everywhere, and she and her boyfriend just bought a house in Portland and have plans to garden and build a wood-fired sauna. Caroline’s energy and enthusiasm is contagious. She is passionate about the work that she’s doing for MFT, and for the farming and food community in Maine. Q: What’s your role at MFT? A: I am the Membership Director. My work is to strengthen, engage and grow MFT’s base of members across the state. As the number of people who support, invest and participate in MFT grows, our collective commitment and ability to do what we do grows as well. Q: Why did you choose to work for MFT? A: Our food and farming system can be a great catalyst for creating thriving communities through sustainable economic and ecological practices. This is an exciting decade to be involved with Maine’s farm and local food movement. I think MFT has such an important role in not only protecting the land for future generations, but in making sure our communities and farmers can flourish. Q: What are you most currently excited about? A: I am very eager to meet more of our members and hear why and how this work touches them. I am always ready to grab coffee and chat, so please get in touch at caroline@mainefarmlandtrust.org! And if you aren’t yet a member, July is our New Member Month so join up and come be part of our growing community!